Decorative fluted columns and pilasters. 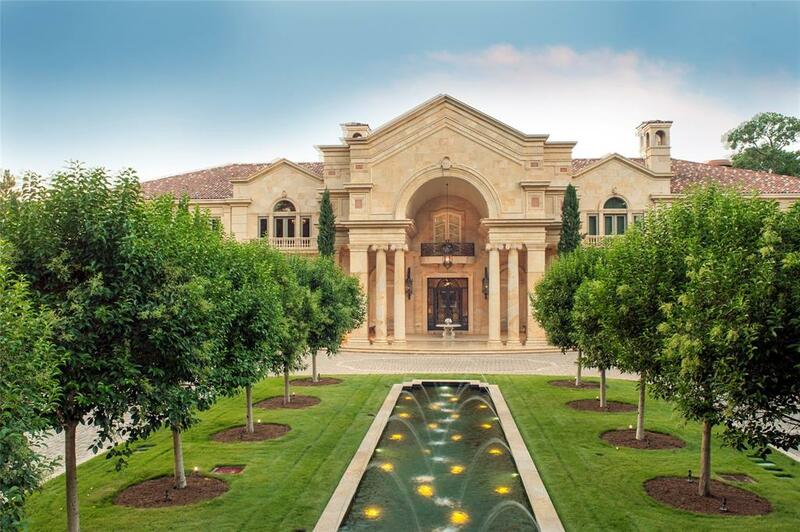 A magnificent 2-story covered front entry with dramatic 33′ barrel-vaulted coffered archway with fluted marble columns and carved ionic capitals, as well as, 9′ tall double-glass doors and sidelights with custom scrolled-iron grillwork overlaying 3/4″ tempered glass panels and custom hardware. Upper level arched glass transom above front door with matching scrolled-iron grillwork.